When it comes to respect, Northland United Soccer Club has proven themselves again this past season. GVSA’s Respect Campaign starts with the players, coaches, and parents all signing the “Code of Conduct” forms at the beginning of each fall season. In doing so, there are certain behaviors expected from each one during the season — “Respect” being the key. With this in mind, Northland United has successfully brought this to the soccer field and it has been noticed. 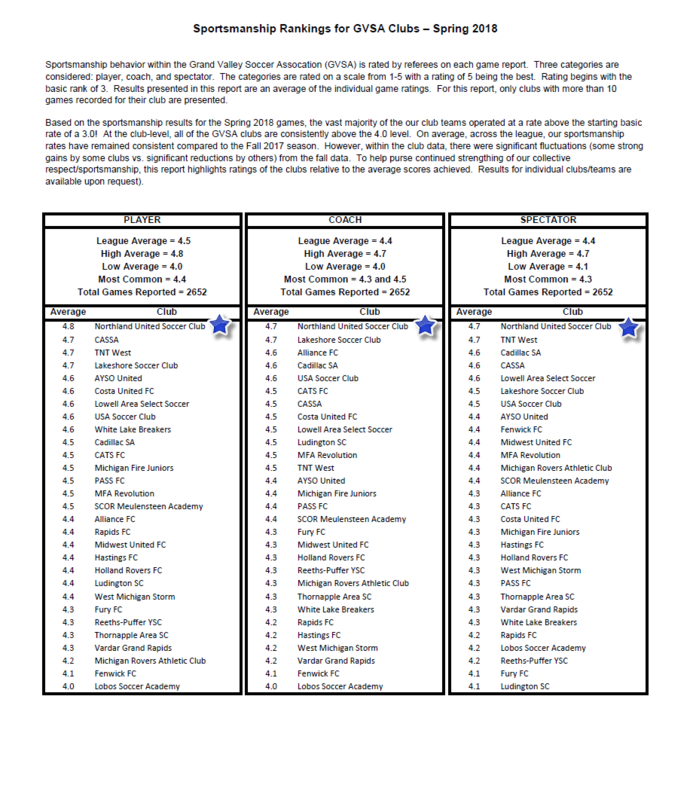 Please see where NUSC ranks this past spring. That is something to be proud of! Go Northland!